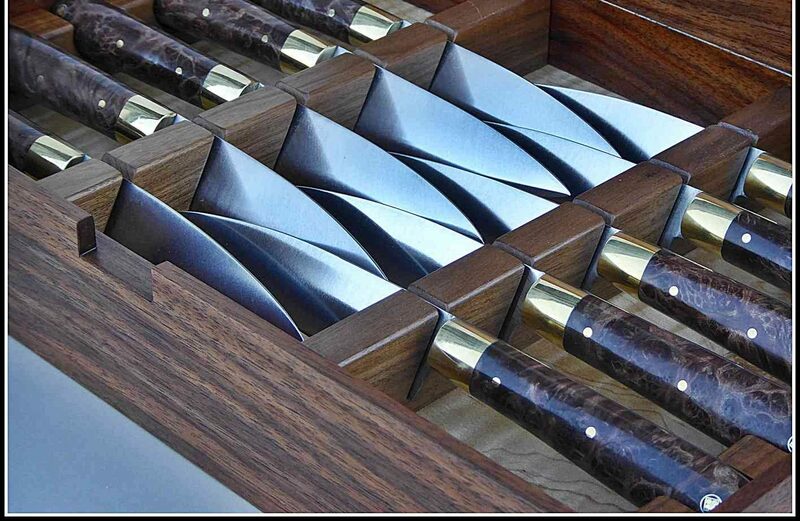 Below – western style handle, with triple bolster spacers, Manzanita wood – carbon steel, brass bolsters. Below : Thai style cleaver, 2.5″ x 8″. Asian style handle. Carbon steel, brass bolsters, triple bolster spacers, Tiger striped Maple wood handle, company chop.